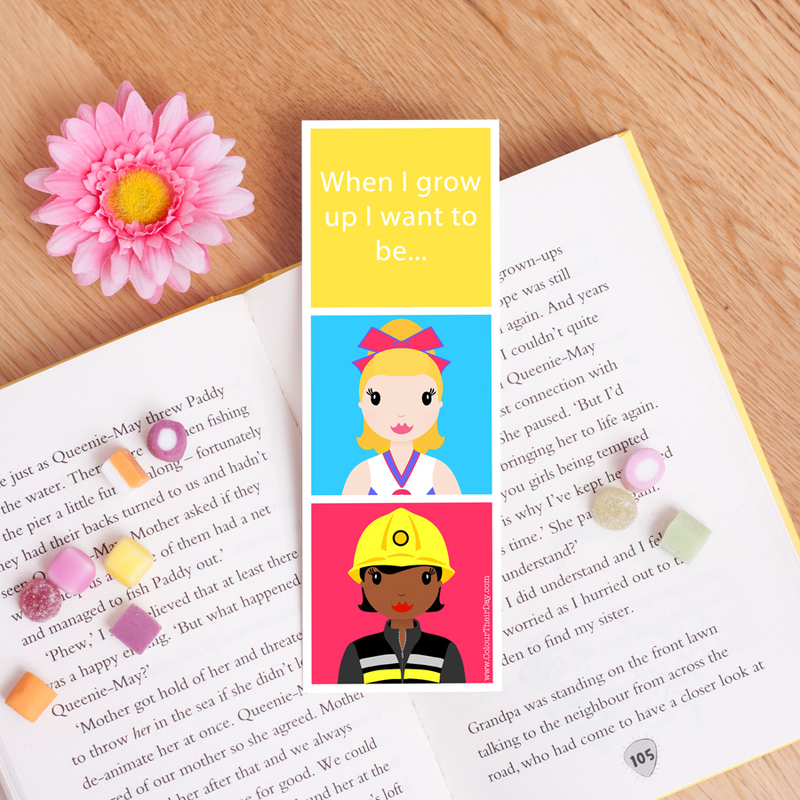 This ‘When I Grow Up’ girl’s bookmark is excellent for a girl who is a bit of a bookworm! 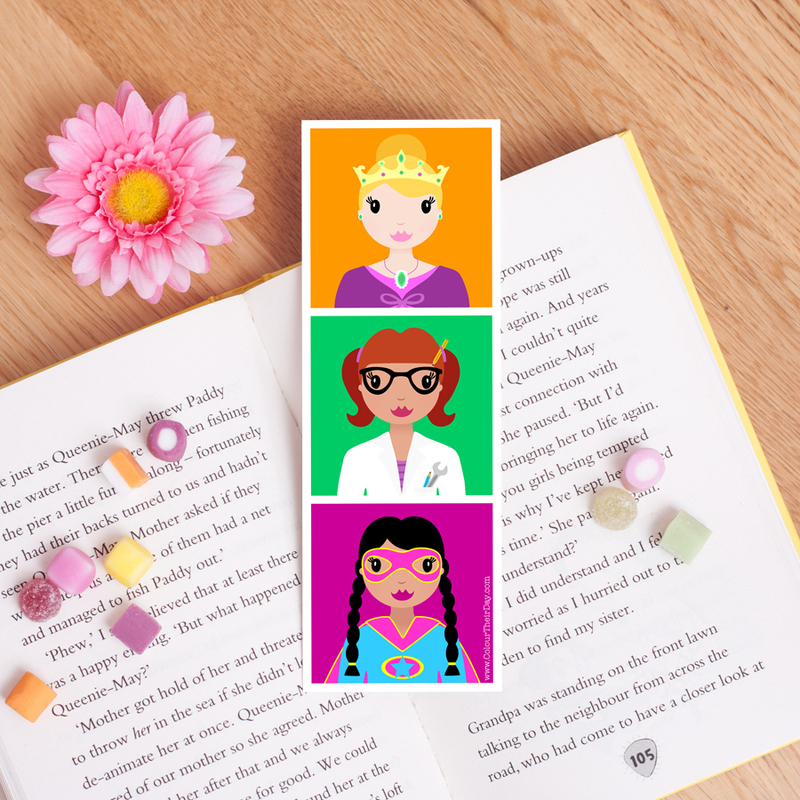 It is a perfect little gift that will brighten up their reading time. The bookmark is double sided so is very thick and robust. The design features five cute girl characters, all positioned in brightly coloured squares. There is a queen, inventor and superhero on one side and a cheerleader and firefighter on the reverse side. It also has the text ‘When I grow up I want to be…’ printed at the top. 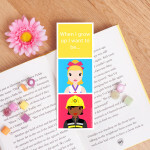 Be the first to review “When I Grow Up – Girls Double Sided Bookmark” Click here to cancel reply.